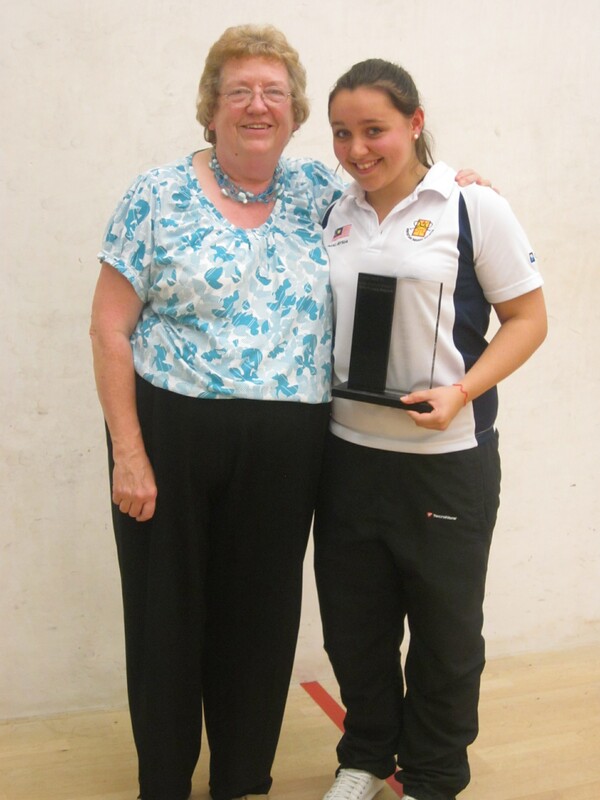 Beecroft wins JOHN DALE TROPHY after an amazing year. The John Dale Trophy was awarded for the second season for the ‘best performing junior’ at the Junior County Closed presentation. The winner this year was Tynemouth Lucy Beecroft who over the season won the U15 BRITISH CLOSED the U15 ENGLISH CLOSED and represented ENGLAND at the home internationals as well as playing an important role in Northumbria’s girls teams with the u17’s and u19’s making the national finals. Thanks to Linda Dale for coming to present Lucy with the Trophy.